Are you looking to make your special day even more magical? 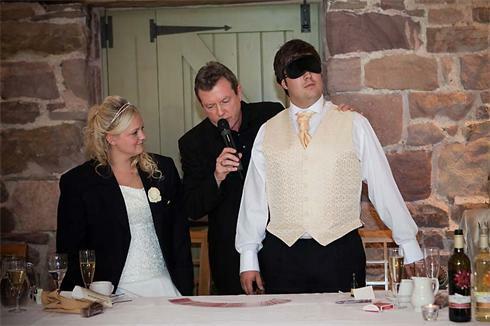 Hiring award-winning magician Chris Stokes can transform your wedding or civil ceremony by captivating and enthralling your guests - ­and leaving you with a lifetime of happy memories. When the all-important wedding photos are being taken, there can often be an uncomfortable lull. It's even worse when guests don't know one another ­and avoid any meaningful interaction. Chris can really help break the ice during this stage, by dazzling guests with a bewildering array of tricks, illusion and mind-reading routines. For your Wedding Breakfast, a little table magic between courses is guaranteed to create an amazing and fun atmosphere, whatever your age. Or, if you prefer, you could save the magic until later when your Evening Reception guests arrive. 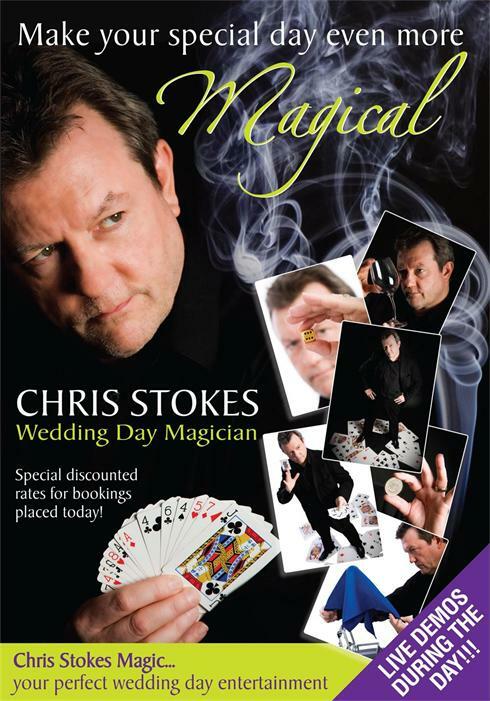 Chris Stokes is available for hire any time during your special day, whether it's for the Drinks Reception only, table magic between courses during your Wedding Breakfast, your Evening Reception – or even the entire day. 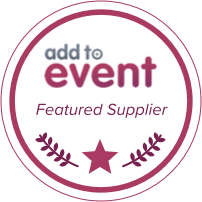 So if you're looking to bring a little magic and mystery to your event, contact Chris now for a detailed cost breakdown. Thanks Chris!! you were absolutely fantastic!!! Everyone has been talking about you and saying how great you are. Thank you for adding that special touch to our wedding. We knew when we first met you that you would be really good, but you exceeded our expectations and were absolutely amazing!! Such a lovely man too. Thanks for staying longer than we had hired you for too, that mean loads to us and we would definately recomend you to anyone. 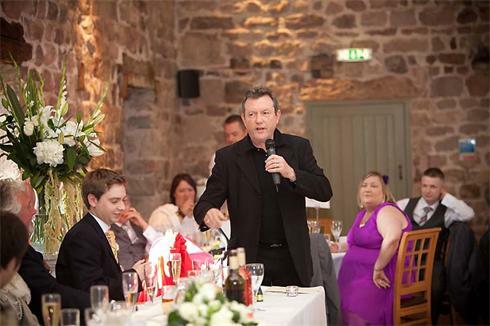 Click here to see Chris in action at a top Staffordshire wedding venue.